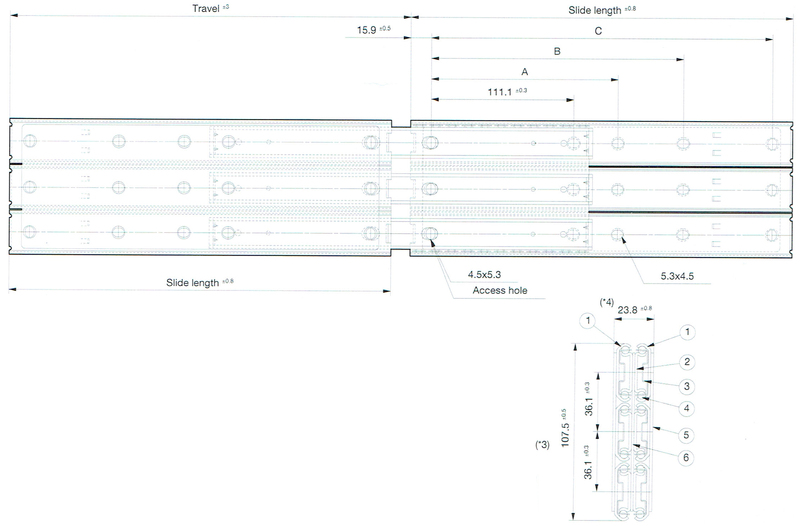 - Triple overtravel slide rail, with reinforced load capacity performance. 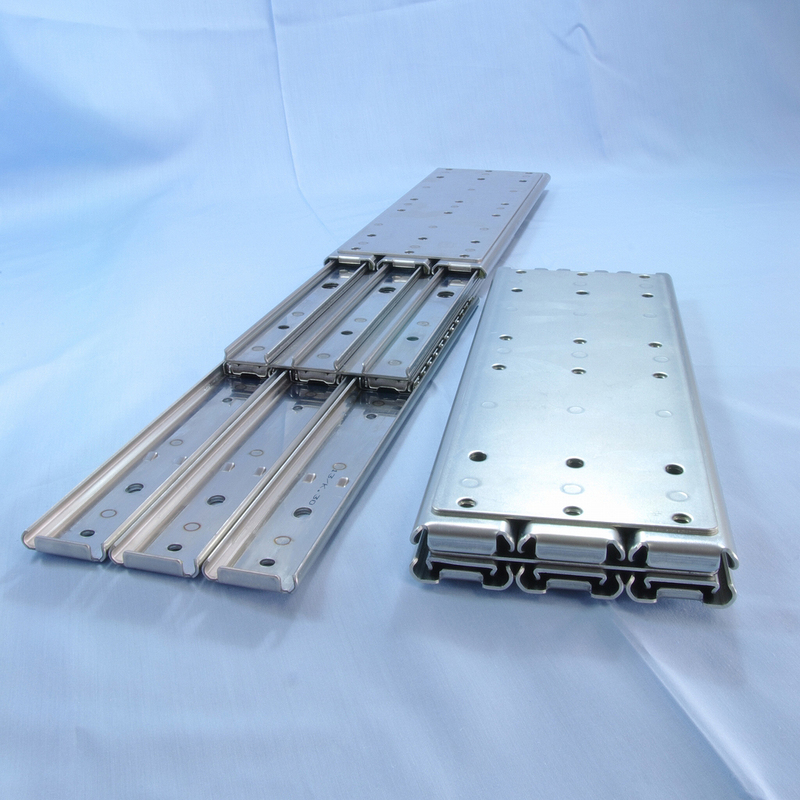 - Heavy-duty slide rail with 1,600N or higher load capacity. - Part numbers (1) (2) (5) (6) : Electrogalvanizing (trivalent bright chromate); however, U53 is stainless steel and therefore unplated. 20 508.0 529 238.1 352.4 476.2 1,746 4.93 4 4 Ball SWCH 3/16"